The best way to get close to the Arenal volcano, enjoy a jungle walk and visit the hot water river. At 1:30 pm we start our pickup and go on our way to far side of the volcano. It’s a 45minute drive on which you can see the Arenal from different angles. We start our visit at the deck of the Observatory lodge. 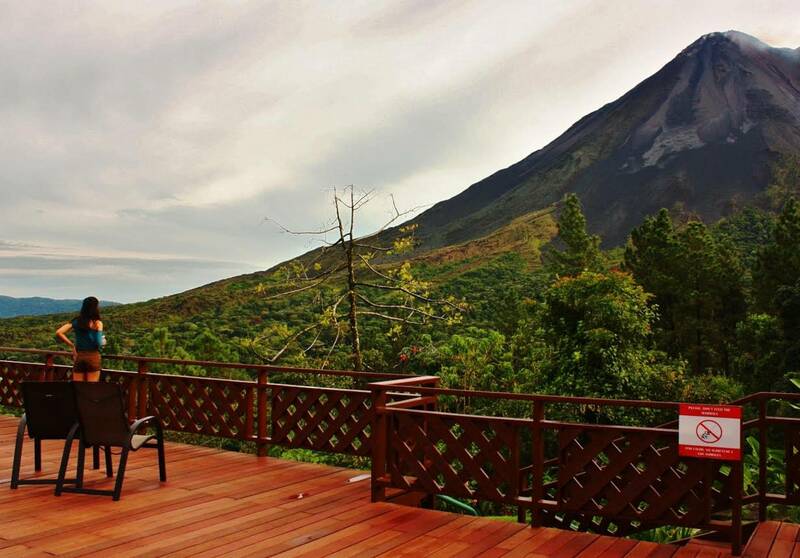 Here we enjoy the panoramic view of the volcano and Arenal Lake. We hike through gardens and forest, pass two hanging bridges and visit the Danta river and waterfall. Along the way your guide explains about the ecosystem, the volcanoes and the animals you can see. 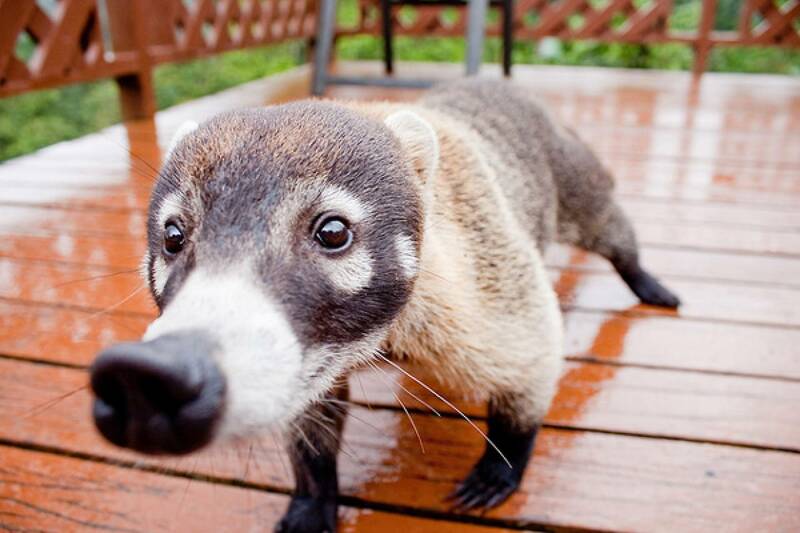 Amongst others we often see monkeys and tropical birds. We visit the Arenal Observatory with its informative museum where we explain more about the volcano and its history. We finish the hike at the Observatory lodge to watch the sunset over lake Arenal. On our drive down from the lodge we will try to find the red eyed tree frog. 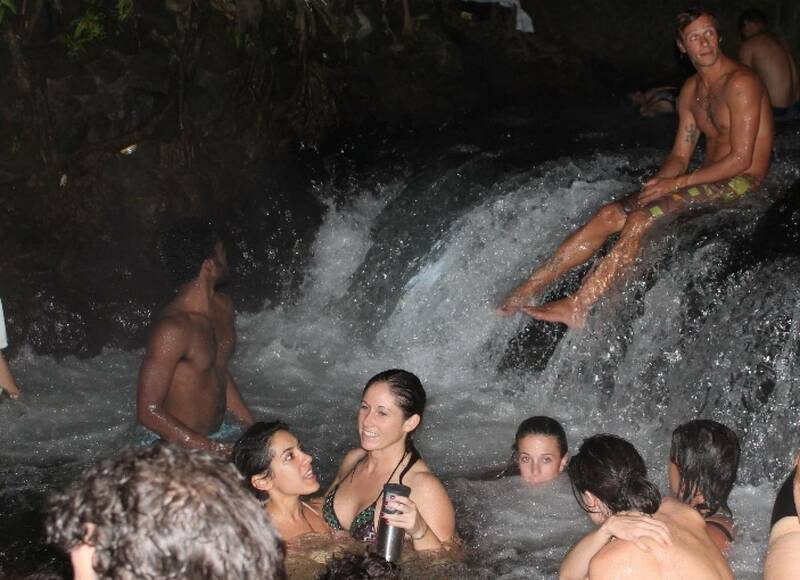 To finish the tour in the most relaxing way we take you to the natural hot water river. We relax in its soothing warm water for about an hour and you can enjoy a volcanic mud facial and a complementary cocktail. At about 8pm you´ll be back at your hotel. The best way to get close to the Arenal volcano, enjoy a jungle walk and visit the hot water river. At 1:30pm we start our pickup and go on our way to far side of the volcano. It’s a 45minute drive on which you can see the Arenal from different angles. We start our visit at the deck of the Observatory lodge. 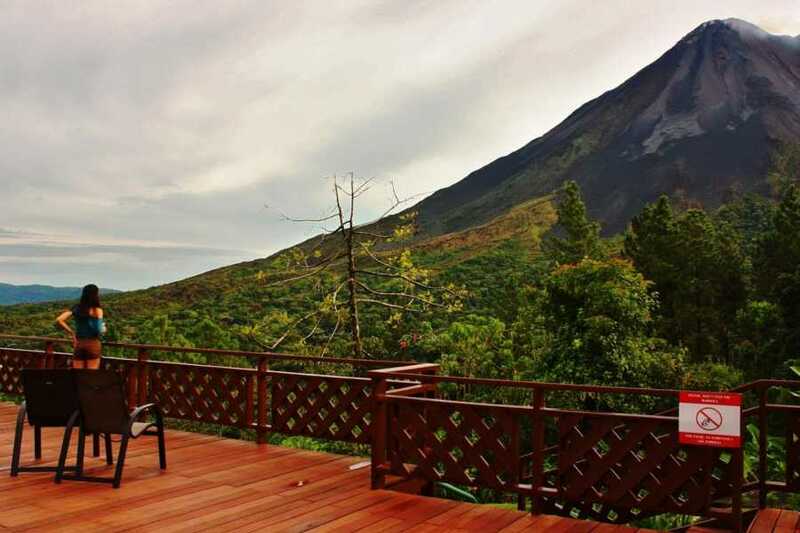 Here we enjoy the panoramic view of the volcano and Arenal Lake. We hike through gardens and forest, pass two hanging bridges and visit the Danta river and waterfall. Along the way your guide explains about the ecosystem, the volcanoes and the animals you can see. Amongst others we often see monkeys and tropical birds. We visit the Arenal Observatory with its informative museum where we explain more about the volcano and its history. We finish the hike at the Observatory lodge to watch the sunset over lake Arenal. On our drive down from the lodge we will try to find the red eyed tree frog. 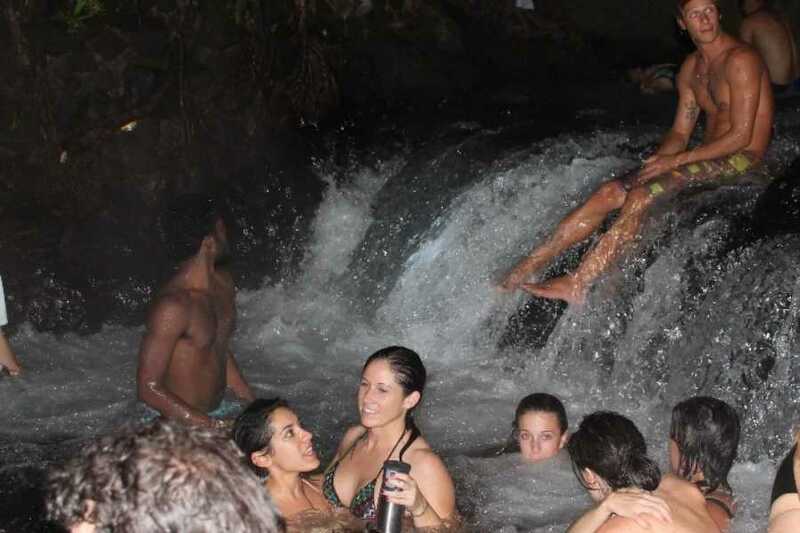 To finish the tour in the most relaxing way we take you to the natural hot water river. We relax in its soothing warm water for about an hour and you can enjoy a volcanic mud facial and a complementary cocktail. At about 8pm you´ll be back at your hotel. Includes: Entrance fee, Guidance, Logistics, Mud and cocktail.